Most people think that down and feathers are the same, thereby usually interchanging the terms when looking for pillows, coats, or other items that would require their use. However, the two are actually very different from each other and provide different advantages to their user. First of all, it is possible for down and feathers to come from the same animal source. What differentiates one from the other is the body part from which it is harvested. Down is the soft fiber immediately covering the flesh of a duck or goose, while feathers are attached to the body with a shaft. Hence, if you take a close look at a duck, the feathers would be the material seen on the surface and what was used as a quill or pen during the early years. Now, try setting aside the feathers, and you will find something soft and fluffy matting the body of the duck – this is the down. Down is basically a collection of fibers with a central point where the fibers spread out like sunrays in every direction. 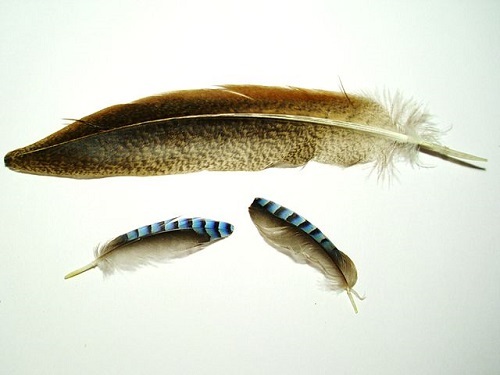 The fact that down and feathers have different structures means that they serve different purposes. Basically, down is an excellent temperature controller, which manages to trap heat while still allowing air to pass through. This is probably one of the reasons why clothes made from down are extremely comfortable – they manage to work well regardless of the weather. On the other hand, feathers are not as good as down in the temperature department. At first touch, they are also soft and fluffy, allowing air to pass through the same way as down. However, feathers are actually firmer, which is why they make excellent protection for ducks and geese. As materials used for clothes or pillows, they are resilient and maintain their shape far longer than the object items. Of course, down is also durable; with proper use, pillows, bedding, and clothes made from down and feathers could last several years. The fact that down is so in demand usually means that it is expensive. In fact, a coat or jacket composed largely of down is priced at around $100 or more. Additionally, the type of bird from which down is harvested also reflects the quality of the material. Generally speaking, down from larger and more mature animals is better. Hence, down coming from a goose comes at a higher quality than that from a duck; unless, of course, the duck is more mature. Some bedding or clothes are comprised of 50% down and 50% feathers. Even when bedding is labeled as “down,” the fact is that it is only made up of down 75%, the rest being a combination of feathers and other fibers. The great thing about down and feathers is that they are both renowned for being allergy-friendly. This means that individuals suffering from allergies would actually feel more comfortable with a down or feather bedding to sleep on. 1.Down is the immediate layer connected to the body of the duck, goose, or other animal. 2.Feathers are the outward layer of a bird that comes with a firm shaft at the middle. 3.Down is comprised of thousands of layers connected by a common point in the center, which prevents clumping of the material. 4.Down provides great insulation, managing to trap body heat while still allowing air to pass through. 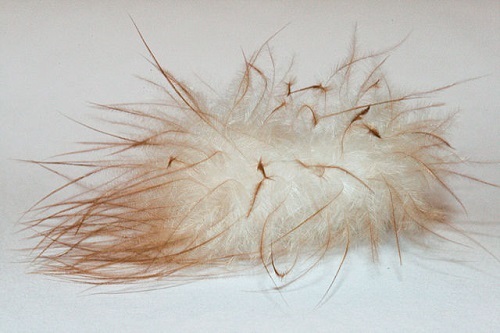 5.Feathers are firmer and retain shape better while still providing a similar soft and fluffy feeling. 6.Both down and feathers have been found to decrease the chances of home allergies when utilized as bedding. 7.Down from larger animals is usually better. Celine. "Difference Between Down and Feathers." DifferenceBetween.net. July 6, 2017 < http://www.differencebetween.net/language/words-language/difference-between-down-and-feathers/ >.